Halloween Dress Up Day! Come and celebrate Halloween with the Jellybean Crew. On Wednesday the 31st October we will be celebrating Halloween so come dressed in your scariest costume and bring a plate of scary food to share. We are looking forward to seeing everyone all dressed up! Fiver for a Farmer Week! Book Week ​Everyone across the Centre enjoyed the festivities of Book Week 2017. The outfits were all amazing especially the home made ones! We had lots of Superhero's and Princesses, Where's Wally, One Fish Two Fish, Red Riding Hood plus many more. Well done to everyone that participated in Book Week 2017! Science Week So this week we have been really busy here at Jellybean's performing lots of different Science experiments to incorporate Science Week. The children have made their very own snow, dyed flowers and made a volcano using an apple. Check out the attached photos of the different experiments each room participated in. The different facial expressions, tell a million different stories. ​The Brisbane City Council Library has kindly offered a Story Book Session for our Pre-School Children on the 7th June 2017 between 2pm and 3pm. The afternoon will consist of story time plus some craft activities that involves making Australian Animals.....Please feel free to come along and enjoy the afternoon. Special thanks to our Mother's that joined us for our High Tea this morning........ We hope you enjoyed our craft session and having your nails painted! ​Our Annual High Tea will be held on the 19th of May. Come along and spend some time being pampered by your cherubs and enjoy our scrumptious arrangement of fine foods! Morning Tea will be served at 10am.....Please RSVP by the 12th May. Come along and celebrate 10years with us! The afternoon will be filled with fun for everyone..........stalls to browse, food to eat and memories to share. Save the date May 27 between 1pm and 4pm. 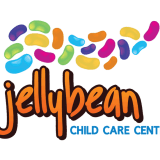 Welcome to March's Edition of Jellybean News! Firstly, we would like to extend a warm welcome to our new families that have recently joined us. We are so excited to be part of your child's journey creating wonderful memories that will be remembered for years to come. We are excited to announce we will have our Assessment and Rating Visit somewhere between the 5th April and the 3rd May 2017. The validator will be here at the service for about 4 days. Our QIP is due to be submitted on Wednesday 29th March, once this is received we will receive confirmation of the visit. This is a very exciting time for us as we are always looking for ways to improve the service we provide. In this newsletter we have added lots of information in regards to safety……..we hope you find the following topics relevant. Please remember children are not to be left unattended in any vehicle at any time. When bringing siblings into the Centre you must not leave any child unattended in the carpark. Please remember children under the age of seven must be restrained using the correct seat designed for their age, weight and height and should not be sitting in the front seat of the vehicle. The following sites can assist with installing your car seats correctly so that your precious cargo is kept safe while travelling. Everything baby from the one stop baby shop. Prams, strollers, car seats, furniture, manchester, clothing, cots and more. Buy online, by phone or in-store. Find out what to expect when safely fitting your child's restraint in your vehicle, or book in and let us fit it for you. Fire Drills are conducted monthly here at the Centre. Drills are carried out at spontaneous times throughout the day. If by chance you are inside the Centre when a drill is being carried out, please follow the Educators instructions and follow the Evacuation Procedure. Please do not enter the building while an evacuation is under way. As most of you are aware part of the National Quality Standards requires each Centre to provide sustainable practices. ​Turning the fans and air conditioners in the rooms off prior to going outside in the afternoon. Recycling bins in the foyer for families to place goods that can be recycled within the Centre. Vegetable garden outside the Pre-school 1 Room, which is slowly but surely producing some fine produce that we hope to use in our Centre kitchen.